The Spa Termes SERHS Carlemany Hotel**** is the ideal place to go to de-stress and recharge batteries. A charming property, in a historic building in the center of Escaldes and with the most modern amenities, including spa, Wi-Fi, thermal spring water in the bathroom, fitness area, a la carte restaurant ... An unforgettable place located the heart of Andorra, located 3 minuts by walk from the new Thyssen Andorra Museum. Enjoy a mountain holiday in Andorra staying in a unique hotel in Escaldes. 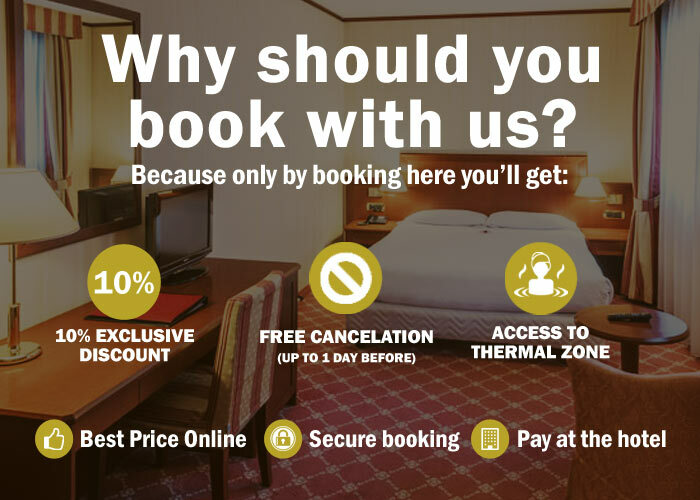 Book at the best price only here: on the official website of the Termes SERHS Carlemany Andorra Hotel.